Elderly nutrition differs from nutrition in young people. Choosing the right amount of fruits, vegetables, starches, and proteins each day is important when designing an elderly nutrition program. 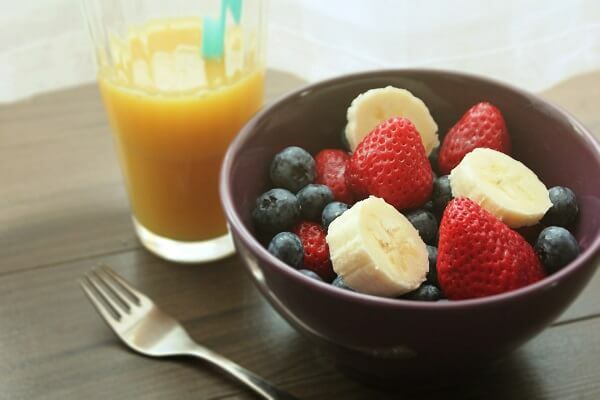 Around 5 servings of fruits and vegetables are recommended each day. Also, dietary specialists suggest a variety of colors in the fruits and vegetables consumed. Appropriate choices would be apples, bananas, peas, broccoli, sweet potatoes, peppers, and oranges. These foods contain a variety of vitamins and minerals, including vitamin C. In addition to vegetables and fruits, protein is also necessary to maintain nutrition. Red meats, such as beef or steak, contain a high amount of vitamin B-12, which is essential to brain health. 2-3 servings of protein per day are recommended, unless otherwise directed by a physician. Dairy products are a good source of calcium and vitamin D, which is necessary to maintain bone health in the elderly. Fiber is also important to promote good digestive health. Plenty of fiber is necessary in the elderly, because many are unable to get an appropriate amount of exercise. 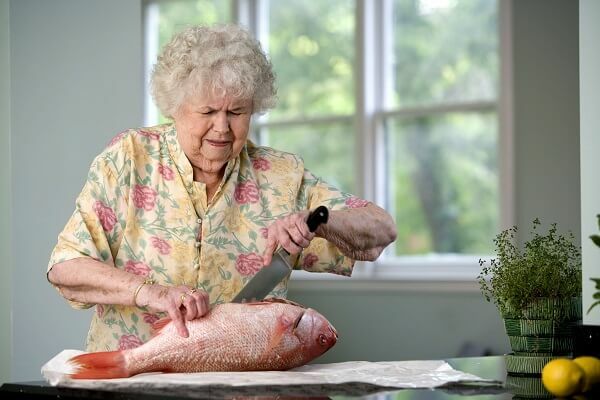 Elderly nutrition can also hinge on the amount of healthy and unhealthy fats consumed. Try to choose healthy fats, such as oily fish, unsalted peanuts, olive oil, almonds, and walnuts. Unhealthy fats include Trans fats, processed meats, cakes, cookies, and other prepackaged foods. Unhealthy fats can raise cholesterol levels in the elderly and place them at increased risk for heart disease. Consider consulting with a Registered Dietitian to ascertain the best dietary advice. Also, having a caregiver that cares about the elderly and prepare healthy food can help. An important part of elderly nutrition is choosing the right exercise regimen to go with it. Many elderly citizens are immobile or require the assistance of canes, walkers, or wheelchairs. Energy levels may be lower, but exercise is still very important for the elderly in order to maintain good health. Encourage your elderly loved one to get at least 30 minutes of physical activity a day. This can include gardening, walking, or even water aerobics. An elderly nutrition program that utilizes physical therapy resources may be necessary for those with that have difficulty moving about. Always consult with a doctor to ascertain healthy levels of the appropriate exercise for those with disabilities or difficulty getting about. Article contributed by Caring People Inc.